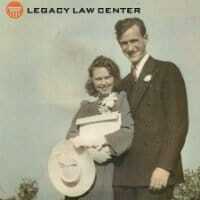 Legacy Law Center narrowly focuses on probate, elder law, and estate planning matters. We create wills, trusts, and powers of attorney for individuals and families. Our primary office is in St. Charles, with a secondary office in O'Fallon. I have been practicing attorney since 2005 and began the practice of law in California. Subsequent to that, I moved to the East Coast where I worked in New Jersey for some time. I returned home to St. Charles County in 2009 and opened my own practice, Legacy Law Center. Because my practice is limited to specific areas of law, I have experience dealing with both complex and simple matters. As part of Grant Hickman Real Estate Advisors, Lorna and the attorneys she practices with offer professional counsel in matters such as Real Estate, Bankruptcy, Wills, Trusts, Probate, Personal Injury, Worker's Compensation, Divorce, Traffic Violations and Criminal Matters. Lorna Frahm has been practicing law since 1985. Prior to opening The Frahm Law Firm in 2001, Lorna worked as an attorney and partner for Thompson Coburn and as in-house counsel for US Bank. In 2007, she was appointed Prosecutor for the City of St. Peters. 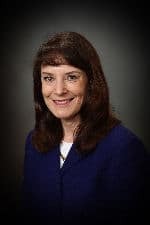 As part of Grant Hickman Real Estate Advisors, Lorna and the attorneys she practices with offer professional counsel in matters such as Real Estate, Bankruptcy, Wills, Trusts, Probate, Personal Injury, Worker’s Compensation, Divorce, Traffic Violations and Criminal Matters.